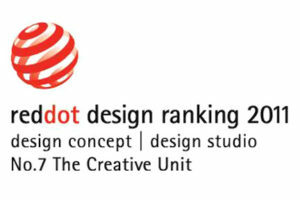 “I am very pleased to inform and congratulate The Creative Unit for being ranked number 7 in the Red Dot design ranking for design concepts. This ranking recognizes your organization as one of the top design studios in continuously and progressively pushing forward with cutting-edge and forward-thinking product concepts. The Red Dot design ranking, compiled by the Red Dot Institute, honours organizations at the forefront of design excellence and innovation. The Red Dot design ranking for design concepts will serve as a beacon to the world, directing the attention of businesses, media, designers, and the public to organizations that will surely define our world of tomorrow. The design ranking label, issued together with the ranking, serves as a marketing tool to effectively communicate your standing among the most innovative companies and institutions around the world. 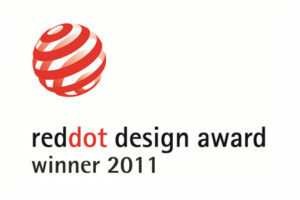 Red Dot Design Award, Design concept 2011. 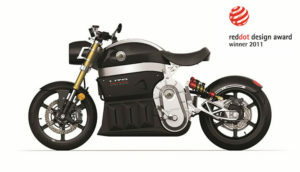 Red Dot’s international jury awarded The Creative Unit Inc. and Martin Aubé, CEO, the Red Dot Design Award for the SORA Electric motorcycle. The design was created for Lito Green Motion. Red Dot Design Award, Design concept 2009. Red Dot’s international jury awarded The Creative Unit Inc. and Martin Aubé, CEO, the Red Dot Design Award for the Energya (motomobile). The design was created for Higgins-Aubé. Celebrating excellence in Québec design – Célébration de l’excellence du design québécois. 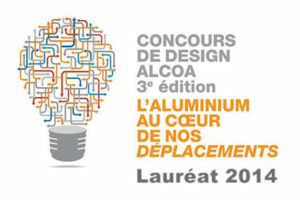 Les Grands Prix du Design 2019- Agence PID Agency, L’agence de promotion du design / Design promotion agency. Les Grands Prix du Design 2017- Agence PID Agency, L’agence de promotion du design / Design promotion agency. 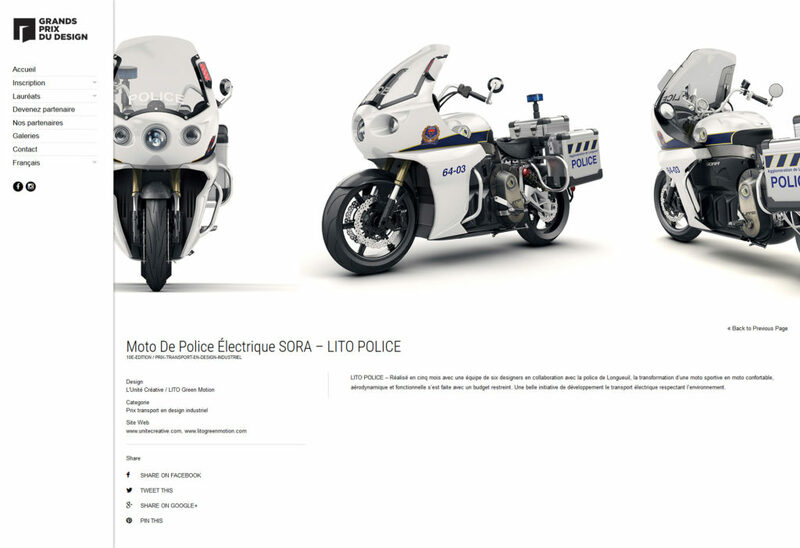 The Creative Unit / L’Unité Créative – Motocyclette électrique SORA de LITO Green Motion / Electric motorcycle by LITO Green Motion: This motorcycle’s seductive and ergonomic bodywork features a racy and dynamic front end, and a rear end with a bobber look. Between the side fairings, an aluminum frame is visible, showcasing this noble material. 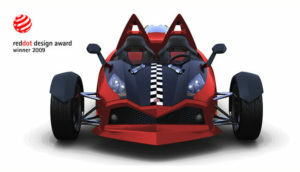 The BRP design innovation team, graduates of Université de Montreal, were honoured for the design of the Can-Am Spyder Roadster at a ceremony on October 14, 2009, celebrating the exceptional collaboration between designers and their business partners. 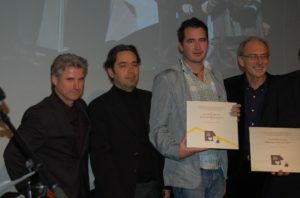 Martin Aubé, Denys Lapointe, Étienne Guay, Germain Cadotte, Guillaume Longpré. 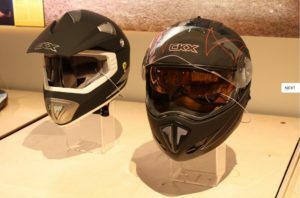 Martin Aubé & The Creative Unit inc. also showcases the industrial design of the CKX TX517 motocross helmet, TRANZ helmet and the FTX-148 brushcutter from Prinoth. 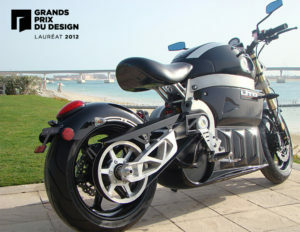 Award winner / Lauréat: The Creative Unit Inc. Equipped with wheels and a central track propelled by an electric motor, DIABLOV is an attractive domestic trolley that promotes increased autonomy in senior citizens or people with reduced mobility. This invention from Martin Aubé (The Creative Unit) allows users to transport heavy loads between the car and house, or up and down stairs, making shopping easy all year long. Featuring a sturdy aluminum structure and an 8-hour-battery pack , this trolley is controlled by a simple circular handle for maximum user comfort. 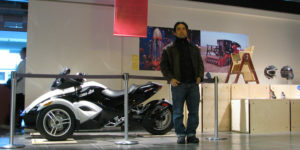 Member of the BRP Design innovation team from 1986 to 2004. “A tough package/concept executed with style, intelligence, and lots of creativity. The designers have managed to introduce safety and feature enhancements in what was once a plain pontoon boat. While doing so, they seem to have created a new kind of boat. More than just an evolution in boat design, the Islandia takes big jumps in combining unique design with well thought out content. 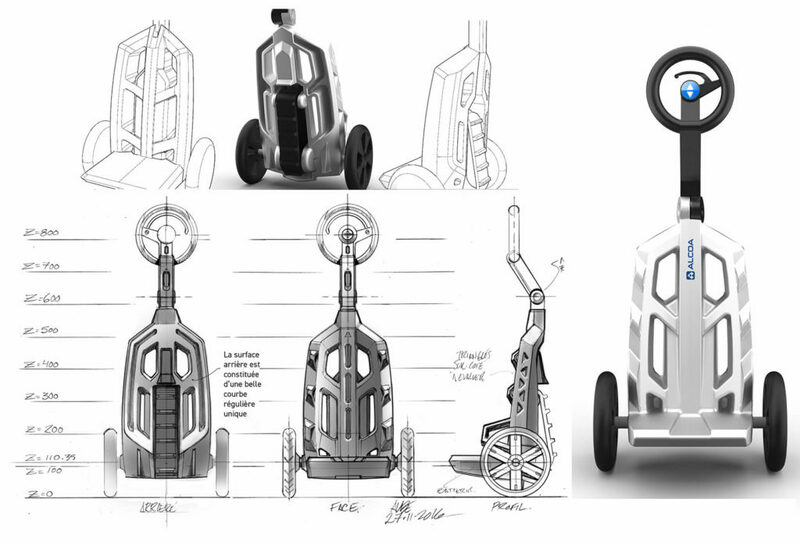 It raises the bar for recreational family boating” – Chris Bangle, IDSA, BMW. IDEA Jury. From the 2001 Yearbook of Industrial Design Excellence (INNOVATION FALL 2001). 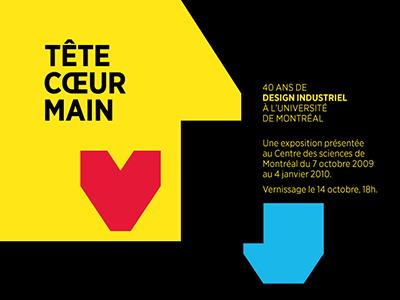 Prix Canada, Institut de design de Montréal, 2002 edition. Consumer Product category, Islandia sport boat. Montréal, May 15, 2002. Martin Aubé, Expert Industrial Designer, Advanced Concepts, BRP. Industrial designer responsible for the product (preliminary concept, renderings, ergonomics, models), David Kalhok, design manager, and Kaz Takeshita, follow-up of 1:1 model.